Angola is an African country that often gets overlooked by some of its neighbors, but that is to the traveler’s loss. Angola may not be high on the radar for safaris, but it should be a targeted destination with some beautiful encounters with nature. Christ the King is a statue serving as a both a Catholic monument and shrine. The statue is located on a hilltop overlooking the city of Lubango, Angola. The Christ the King statue was modeled after the Christ the Redeemer monument in Rio de Janeiro, Brazil. The statue stands 98 feet (30 m) tall and was constructed out of white marble. Construction of the statue occurred in 1957. The Christ the King statue is is affectionately called “the Jesus Statue” and is a the most iconic and beautiful attraction in Lubango and possibly all of Angola. 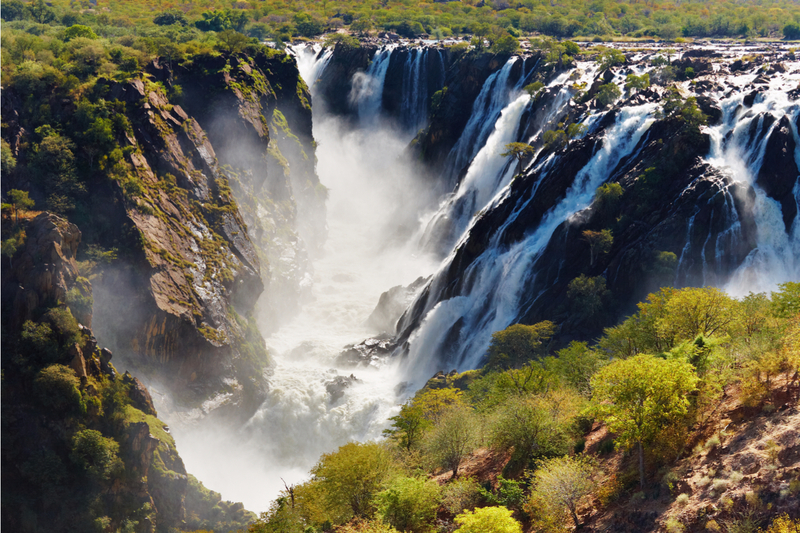 Kalandula Falls is a spectacular marvel of nature located in northwest Angola. The source of the falls is the Lucala River. This tributary is connected to the Cuanza River, which is Angola’s largest river. The Kalandula Falls are not widely known globally and rarely make any of the best waterfalls list. 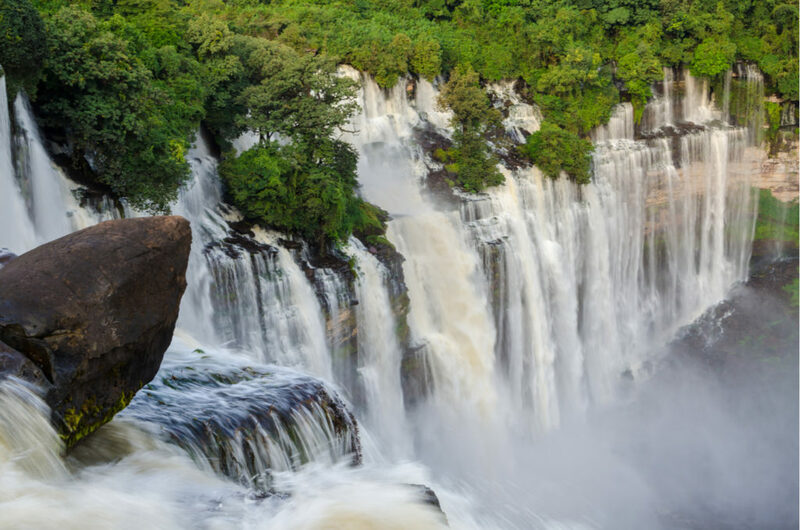 This is an oversight with the falls creating a beautiful sprawled out curtain of water and is one of Africa’s largest waterfalls based on volume. Kalandula Falls extends across the Lucala River 344 feet (105 m) and reaches a height of 1,300 feet (400 m). Every visitor to Angola should take advantage and experience this beautiful waterfall. 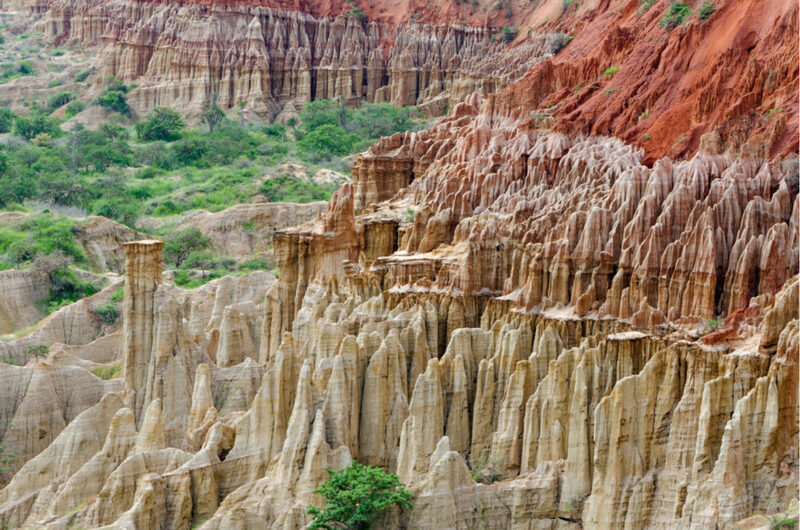 The Miradour a da Lua is also affectionately known as the “Valley of the Moon.” It is a natural wonder that is not too far from the capital of Angola. It is only about 25 miles (40 kilometers) south of the city making it an easy attraction to experience. Miradour a da Lua is one of the most unique and intriguing landscapes. The nickname is derived from the surface of the moonlike qualities of this amazing landscape. The setting sun creates the best view of this wonder showcasing a tricolor carved soil adding to the mysterious moonlike qualities. This wonder of nature was created over time by a combination of weather, sea, and rain which collectively worked together to erode and present this amazing place. Another Angola attraction that should be added to any bucket list for travelers into the country.